Most of the time when you mention “JEMS” outside of Jay, New York, you’ll get a puzzled look in return. But mention it in the Town of Jay and faces light up. JEMS stands for Jay Entertainment and Music Society. According to Heather Benfield, publicity director, JEMS was founded in 1987 to bring cultural events and much more to the town of Jay. I would say they’ve succeeded quite nicely so far. 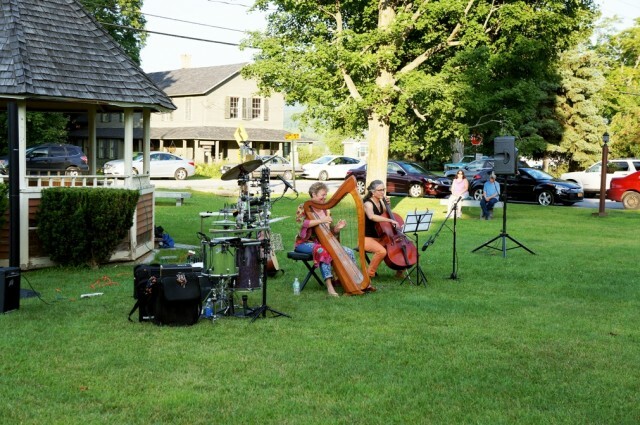 Initiated in 1987, the summer concert series consists of eight weeks of concerts every Saturday evening beginning at 6:30 pm on the Jay Village Green.. A wonderful mix of musical genres has entertained locals and visitors alike each week every summer. The last two in this year’s series are August 16th and 23rd. 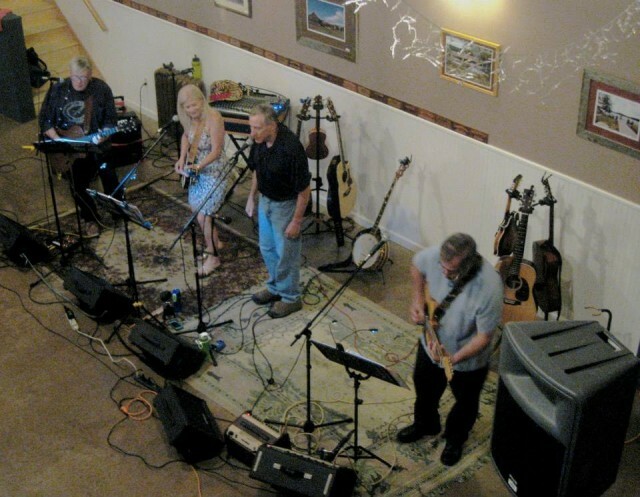 On the 16th, the band Movin’ On will entertain with their mix of new and old country tunes. Then, on August 23rd, A Fine Mix band brings country and bluegrass to the Village Green stage. Don’t miss at least one of these remaining concerts in the open air. Bring your lawn chairs and a picnic while you’re entertained during the waning days of summer. One of the focal points in Jay these days is the Amos and Julia Ward Theatre, where classes, performances, meetings, workshops and more are held year round. Opened in 2008 by way of a very generous donation from the Ward family and a community fundraising campaign, the theater is an absolute gem (pardon the pun) for this small, rural community in the Adirondacks. The theater is open for use to one and all in the community. Birthday parties, showers and many more private events have been held here in addition to the cultural events. Fundraising is ever evolving as the needs never end. Sponsoring free cultural events is not without its challenges. Entertainment expenses are second only to the annual upkeep expenses for the theatre building, according to Benfield. “We have ongoing annual building expenses for which fundraising efforts never stop,” she said. “The theatre was made possible by tons of donors in addition to the Wards.” Any and all contributions are welcomed. Checks can be made out to JEMS, which is a 501(c)(3) not for profit and are tax deductible. Their mailing address is PO Box 150, Jay, NY 12941. The day I visited, a Yoga class was taking place on the top floor of the theatre in a beautiful space with a hardwood floor and nice, soft lighting. JEMS also offers dance classes for all ages (beginning in September), and an acoustic club meets every Thursday evening for beginner musicians for the purpose of playing music together. All instruments, including voice, are welcome to attend. Contact Joe Kahn for more information at 647-8128. Starting on October 16th, Joe Kahn will also be teaching the seventh season of a Tai Chi class for skiers. Get your muscles in shape early this year for the upcoming ski season. This past June a Strawberry Social was held and will hopefully become an annual tradition, although that hasn't been decided yet. And each summer JEMS puts together a children's theatre production, this year being Twinderella. There’s always something going on in Jay. You just have to know where to look! The Jay Entertainment and Music Society is a great starting point. For more information visit their website and “like” their Facebook page as well. For more information about lodging options, visit Whieface Region's lodging page and make plans to stay a few days and check out our events page to see what's going on while you're in the area.